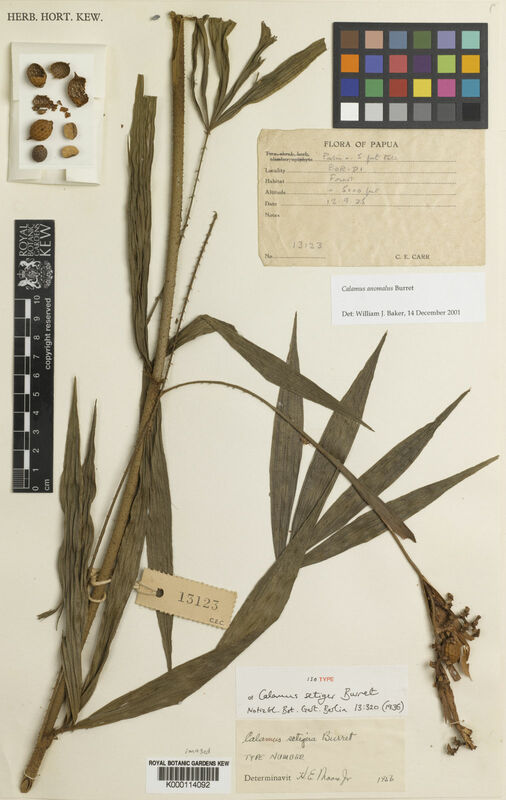 This species is accepted, and its native range is New Guinea (W. Owen Standley Range). Known from four localities along a 110 km stretch of the western slopes of the Owen Stanley Range, north-east of Port Moresby. Lower montane oak forest between 1250-1830 m.
Least concern. Although C. anomalus is known from a relatively small part of the Owen Stanley Range, forest clearance in this area is limited.